Of course, the decision by Mrs. Gloria Arroyo to lift martial law in Maguindanao last night (Dec. 12, 9PM) after one week must be welcomed. But looking at the bigger picture, the people must also be alarmed. Why, what are the dangers? The lifting of Proclamation 1959 preempted Congress and the Supreme Court (SC) from deciding on the legitimacy of martial law. As such, questions on its legality have remained unresolved. House Speaker Prospero Nograles and Senate President Juan Ponce Enrile already said that they are adjourning the joint session on Proclamation 1959 on Monday, Dec. 14. As for the SC, it is hoped that it would still pursue the seven petitions versus martial law filed before it last week. The SC is supposed to determine whether or not Mrs. Arroyo abused her constitutional power to declare martial law. As of this posting, however, there is still no official announcement from the SC. It only said its order for Malacañang to answer the petitions will stay. But the SC also added that the executive can manifest that martial law has been lifted (and thus the subject of the petitions no longer exists). If it decides to discontinue hearing the petitions, then we are in an even more precarious situation. Mrs. Arroyo can just impose martial law at whim, anywhere, using flimsy grounds like concocted rebellion. All she has to do is lift it before Congress and the SC can intervene. And then she can get away with murder. With elections just around the corner, this is dangerous since military rule can be used to sabotage the polls. Imagine a scenario when martial law is declared on Election Day, or days before to lay the ground for fraud or election failure in certain areas. These unnerving possibilities are not farfetched especially with an incumbent President who will at all costs prolong her stay in power. The lifting of Proclamation 1959 did not ease fears of what Sen. Miriam Santiago called a “conspiracy” to expand martial law outside Maguindanao. We can thus expect more beheadings, hostage takings, clan wars, bombings, etc. in the months leading to the 2010 elections. The other danger involves the cases facing the Ampatuans. Five members of the Ampatuan clan have already been charged with multiple counts of murder for the massacre. One of them is main suspect Datu Unsay Mayor Andal Ampatuan Jr. But other important members of the clan, including its patriarch Andal Sr. have been charged with rebellion instead. Pundits noted that the rebellion charge is actually an escape route for the Ampatuans. Because most of them were accused with a political crime (i.e. rebellion) and not a criminal case (i.e. murder), there is more room for compromises including pardon or even acquittal. There is also a chance that evidence such as the caches of arms and ammo seized from the Ampatuans during martial law could be questioned in courts. Ampatuans’ lawyers may argue that such evidence was illegally seized under Proclamation 1959, whose legitimacy was not resolved. 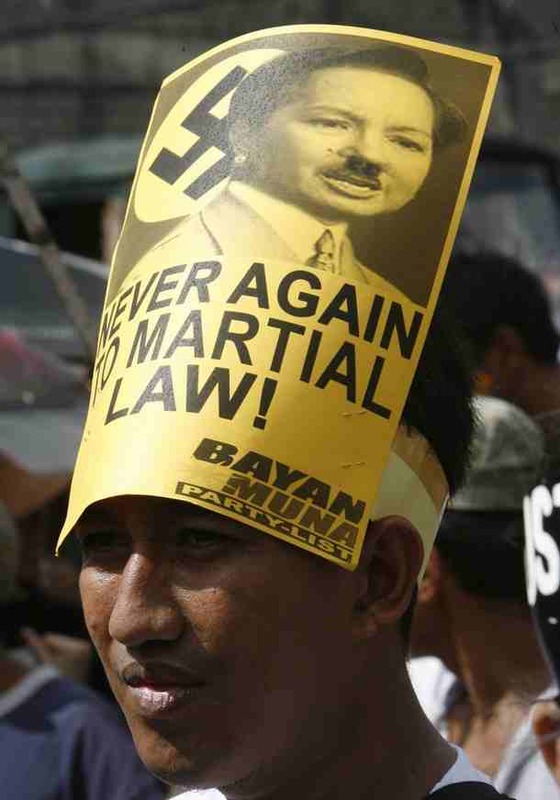 Thus, martial law was effectively used to dilute the case versus the warlord clan. Executive Secretary Eduardo Ermita said they lifted martial law because it has already achieved its objectives. If these objectives are to make Proclamation 1959 a dry-run for future wider martial law and to weaken the criminal liability of the Ampatuans, then it is indeed mission accomplished for Malacañang.